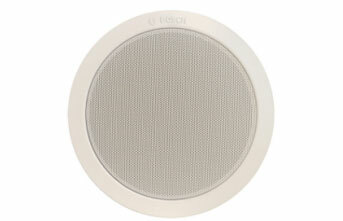 L-PHP15A is a 15 W horn loudspeaker. Its low-profile appearance and white cover makes it blend easily into many outdoor environments.In addition to excellent voice reproduction and sound transmission effect, the loudspeaker is water and dust protected, making it ideal for noisy and spacious outdoor applications, such as sports fields, parks, ex- hibition halls, factories and train stations etc.The horn loudspeaker is supplied with strong adjust- able mounting bracket, enabling the operator to com- plete the installation at ease. 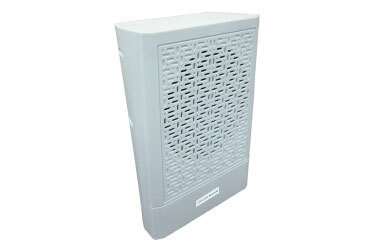 The SS-WM06 is an economic wall mount loudspeaker for general purpose applications. It is a full range loudspeaker for speech and music reproduction in shops, department stores, schools, oflces, stadium, hotels and restaurants. X-DCS2000/EN Digital Integrated System Manager (abbr. DCS) is the central unit of X-618 Public Address and Voice Alarm System. DCS integrates plentiful functions such as zone expansion, multiple audio sources support, audio file storage, net audio, broadcasting, zone control, monitoring, fault diagnosis etc. The supplied X-618 system management software allows users to easily and efficiently manage and configure DCS’s control settings. 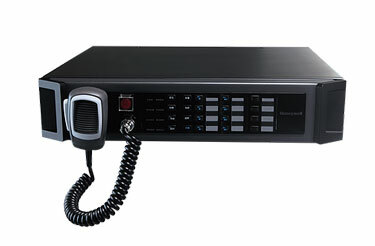 X-NPMI Configurable Network Paging Console is a key module in X-618 Digital Public Address and Voice Alarm System. It provides paging, monitoring, full duplex communication, touch screen operation and other configurable functions. 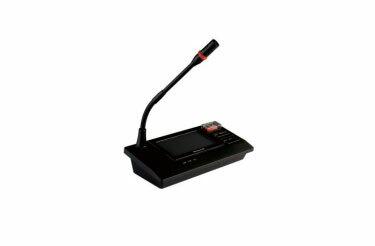 The LBB 1956/00 call station is a stylish, high-quality call station with a stable metal base design, a flexible microphone stem and a unidirectional condenser microphone. It can make calls to selected zones (one to six and all-call) in a public address system built with the Plena Voice Alarm System. In addition to tabletop use, the special design allows it to be neatly flush- mounted in desktops. 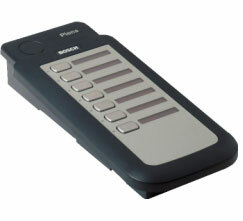 The LBB 1957/00 Plena Voice Alarm System Keypad is an extension adding seven additional keys. 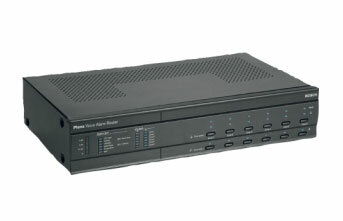 The Plena Voice Alarm Router is an expansion unit that can add six zones and 12 input contacts to the Voice Alarm System. 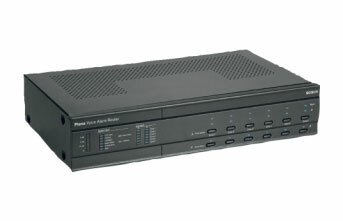 It can use the built-in amplifier on the LBB 1990/00 Voice Alarm Controller, and provides inputs and outputs for one or two amplifiers in a multi- amplifier one or two-channel system. 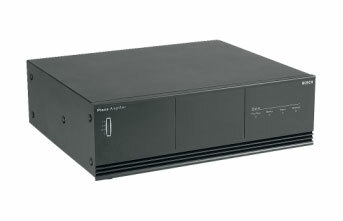 The LBB 1938/20 is a powerful 480 W power amplifier in a 3U high 19”case for rack mounting or tabletop use. LEDs on the front panel show the status of the amplifier: power, audio output level, and supervised functions. This high-performance unit fulfills a wide range of public address requirements at a surprisingly low cost.